Large opening screen solutions for your home, garage or cottage. Screens to keep flying insects out come in many different styles, from retractable to fixed, and different mess to keep your environment enjoyable. Canadian Manufactures comprise all of our supply manufactures ensuring you the best quality and ease of service after installation. We can enclose many outdoor spaces that will keep you protected from the bugs and wind. With many different options like: Manual or power vertical roll-up screens, Horizontal screens, Fixed wall screens and Screen walls with vinyl windows. 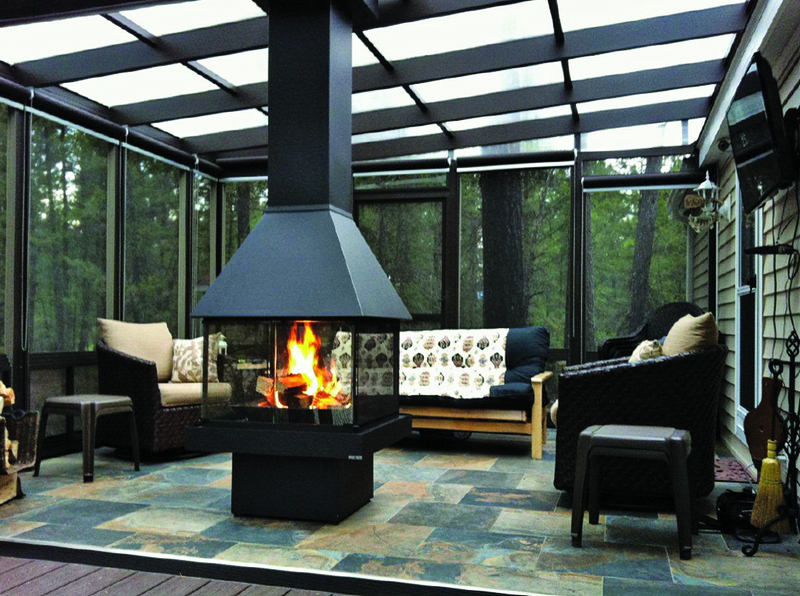 Great products that are Canadian manufactured, custom build for you and expertly installed for years of enjoyment for your outdoor space. Custom fit large openings to fit your architectural needs as required. With so many options available, Lifestyle Oasis will help you find just the right solution. What Size Openings Can Screens be Custom Built for? Benefits of a Large Retractable Screen Solution? Custom made to fit your opening. We carry the full line of Suspace Sunrooms, Screen Rooms and Porch Enclosures. All custom designed and built to suit you and your property! Click here to learn more. 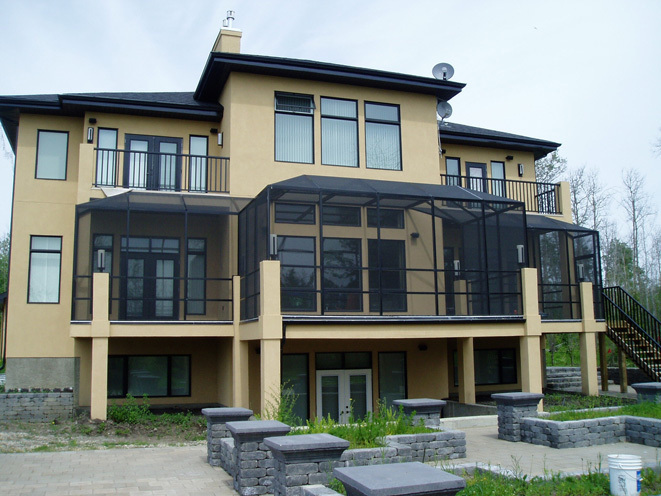 Suncoast screen enclosures are custom built structures designed to cover your patio, pool, deck, and more, while letting the cool breeze come through.